UNNExT Brief No. 5, Towards a Single Window Trading Environment – Senegal's Transition from a Paper-based System to a Paperless Trading System, January 2011. This Brief introduces Senegal’s GAINDE 2000, which is regarded, not only in the African region but also globally, as a successful case of implementing a Single Window environment. 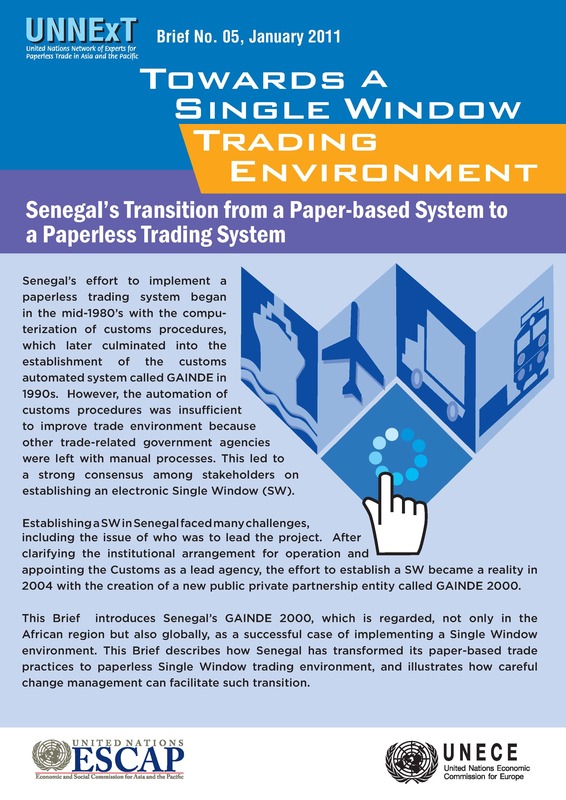 This Brief describes how Senegal has transformed its paper-based trade practices to paperless Single Window trading environment, and illustrates how careful change management can facilitate such transition.